Replacing the roof on your home is a big deal. That’s why you want to make sure you hire experienced roofing contractors you can trust that offer a free estimate, competitive prices and guaranteed work. If your roof has suffered damage that you believe may be covered under your home owners insurance, we will work with your insurance company from start to finish. For more info on roofing insurance claims, click here. If you are not sure if you need a new roof, contact us for a free inspection to find out the condition of your roof. We would be glad to provide free estimates on roof repair or total roof replacement. Replacing your roof may seem like an extensive and costly alternative to a repair. Over the long-run, however, it may be the option that makes the most financial sense. Despite expert repair jobs and regular maintenance, a roof has a limited lifespan. If your roof is older than 25 years and is starting to cost you more each year, we can help. 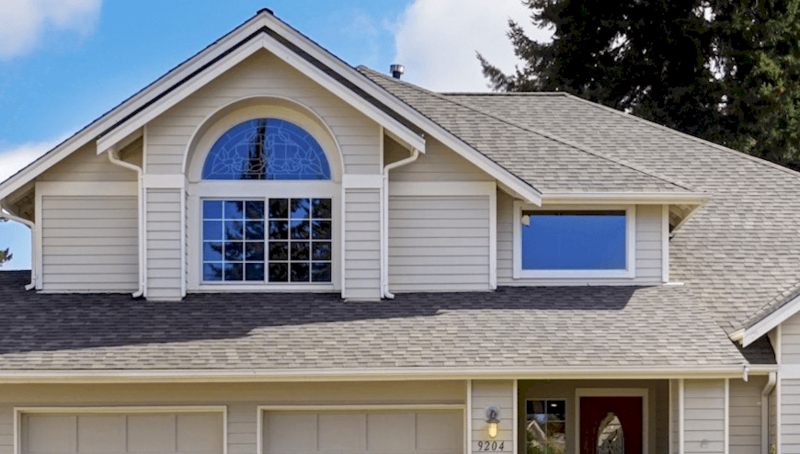 Our team will come to your home, inspect your roof, and determine whether your home needs a complete roof replacement or simply higher quality and routine repairs M&J Roofing and Exteriors offers high-quality roof replacement solutions in Indianapolis. Keep reading to learn more about roof replacements. Roof shingles show signs of weathering and deterioration by curling at the edges or in the middle. If your roof shingles are curling, you run the risk of water leaks. Since curling is a symptom of aging shingles, the chances are that all of them will start bending at the same time. A roof repair will be more expensive than a roof replacement in this scenario. If you notice shingle curling, start preparing for a roof replacement within the next five years. If shingles are missing from your roof, replacing your entire roof may seem excessive, since replacing a few shingles will be sufficient. If you have old shingles that are not available anymore, the objective of a roof replacement is to have all your shingles look the same. If you can’t find a shingle that matches the color of your existing ones, it can affect your roof’s aesthetic appeal, especially if there are several missing shingles in plain sight. Cracked shingles are usually the result of wind damage. If you have one or two broken shingles in a specific spot on your roof, replacing the shingles will be sufficient. If shingles all over your roof crack at around the same time, however, it may be a reason to replace your roof within five years. A moss or algae layer on your roof typically has no structural risks and will not influence the performance of your roof in any way. It can, however, be detrimental to the appearance of your roof. If the appearance of moss doesn’t bother you, then don’t worry about replacing your roof. If your roof is older than ten years and you notice granules in your downspout outlet or gutters, it may be an indication that you have to replace your roof. Granules protect your roof against the sun’s heat, and if the granules are wearing off, the roof shingles may start deteriorating at an exponential rate. If you have a newly installed roof and you notice granules that come off, it is usually not a problem. A roof that sags is typically the result of structural issues with the decking in the attic or the supports in the foundation. If you notice sagging, contact a roofing expert as soon as possible to inspect your roof. Since a sagging roof can be severe, you may have to replace your roof immediately. If you don’t notice any of the problems listed above, you may still have to replace your roof. Knowing when to replace your roof is crucial since there may no visible signs that it is time for a replacement. Conventional clay and asphalt shingle roofs can perform well for anything from twenty to thirty years. If your roof is more than thirty years old, your best options are to have a roofing company carry out a thorough inspection to determine if any problems are hidden from sight. A new roof can increase your home’s resale value by thousands of dollars. If you are planning to sell your home, replacing your roof can be a sound investment. Not only will it result in a higher market price, but it will also improve your home’s appearance and make it easier to sell. Replacing your roof will also allow you to avoid roof inspection issues during the sale. If your house looks worn down, replacing your roof can make a significant difference to your property’s appearance. Some shingled roofs can reflect solar heat away from your house and take the strain off of your cooling system. If your cooling costs are high, replacing your roof with one that has a high energy star rating may benefit yours financially over the long run. Back in the day, the standard warranty was seldom more than twenty years. Nowadays, shingled roof suppliers offer warranties that can be as long as fifty years. Your home needs a high-performing roof to protect it from the elements and water damage. Roof replacement cost is, however, a significant consideration. If your roof replacement insurance claim falls under your standing homeowner’s policy, you may receive the funds to replace your roof. Replacing your roof may not always be the most cost-effective option, but it is necessary. If your roof is sagging, for example, you have to replace your roof to protect your home and prevent further damage. In severe cases like these, it is better not to postpone the roof replacement. Contact a professional roofing company to take an in-depth look at your roof and to give you a roof replacement estimate. Getting a roof replacement in Indianapolis is easier and more affordable than ever. M&J Roofing and Exteriors specializes in high-quality roof replacement solutions, and we can help you. Our team has all the necessary skills, experience, and equipment to replace your roof expertly. If you notice roofing defects or if the time has come for you to replace your roof, give us a call. We’ll come to your house, carry out a roof inspection, and provide you with a free, no-obligation roof replacement quote.